Holidaying or vacation-related businesses are perhaps among the leading money making industries. Consequently, the industry experiences a huge cut-throat competition. The entrepreneurs in this line are ever looking for the most alluring ways to reach out to their regular as well as potential customers. While there are a number of ways that businesses can use to achieve this, nothing can beat a well designed vacation brochure. 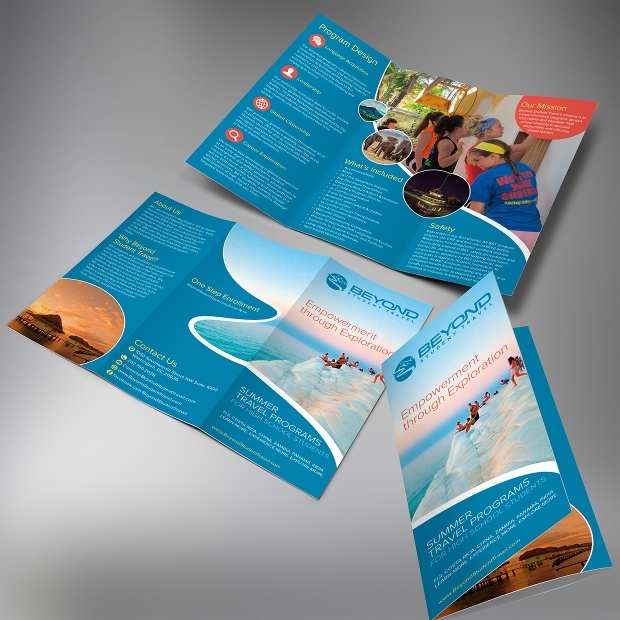 For some insight, here is a collection of some top brochure designs for you. 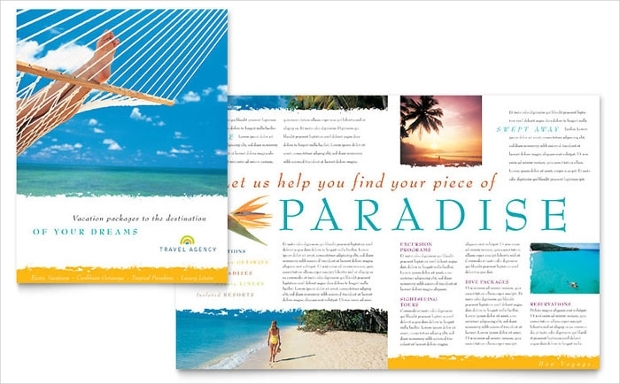 The site of this gorgeous brochure design featuring colorful holidaying sites can induce real feelings of vacation. 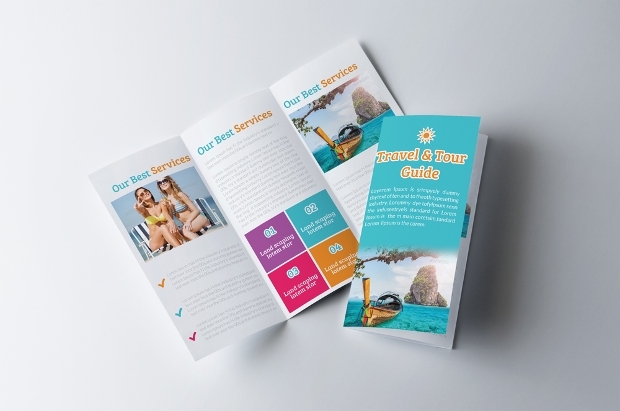 If you run a travel agency, summer vacation or travel and tour business, this easily editable brochure design can be a very powerful way of giving your clients information on your business. 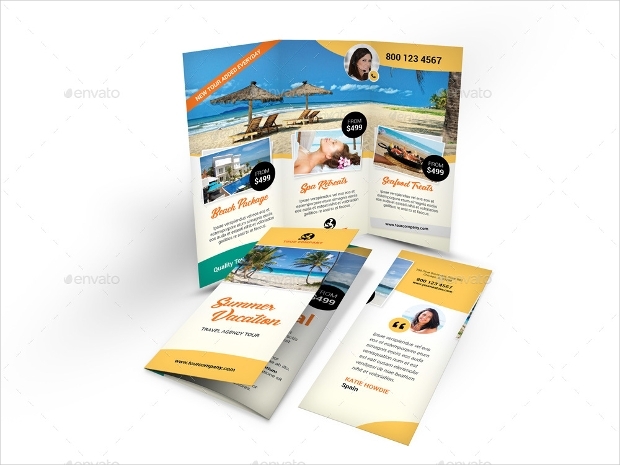 The contemporary, unique design of this brochure template makes it very ideal for use in virtually all holiday or travel agency business. 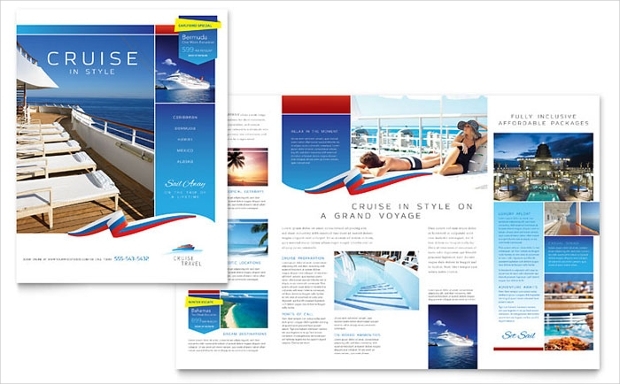 The fully customizable brochure is available in PSD format with highly organized layers to enhance customization. Looking for a colorful and enticing way to reach your regular and prospective customers? 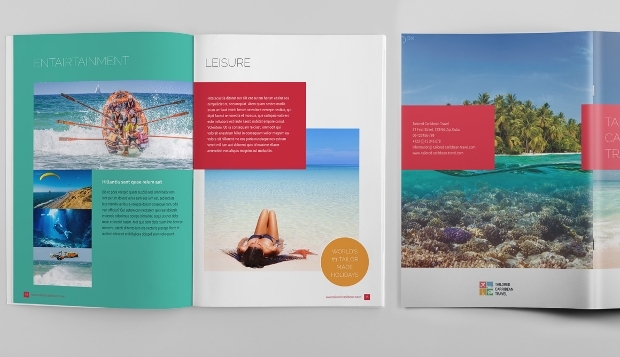 Then, this beautiful brochure design featuring relaxing holidaying sites could work quite well for you. 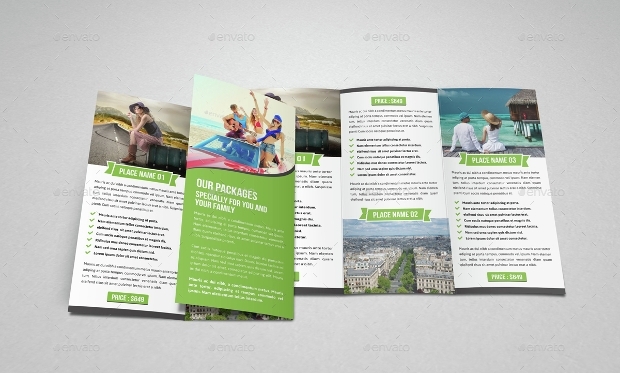 The easily customizable bi-fold brochure template can be downloaded as a PSD file. The file is fully layered and well organized. 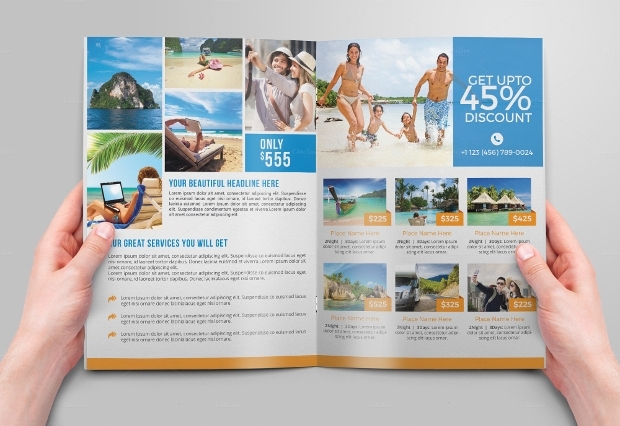 The versatility of this brochure design makes it ideal for use in virtually all kinds of holidaying or vacation related businesses. You can opt for an A4 or US letter size. 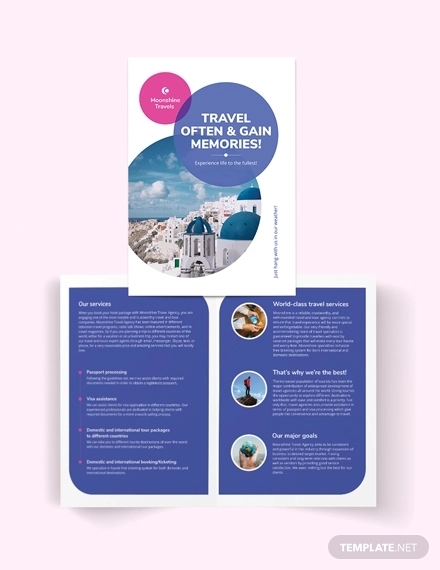 This gorgeous print ready travel brochure is downloadable as an InDesign INDD file which comes with remarkable layered elements. 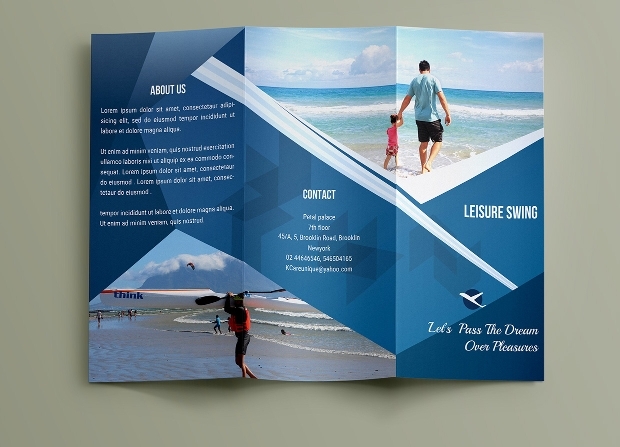 The view of this great-looking vacation brochure can evoke a sense of merrymaking associated with summer holidaying. 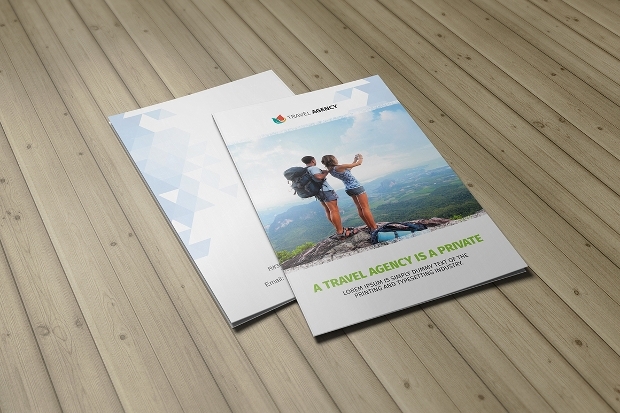 You can fully modify the elements in this brochure design to suit the needs of your travel and tour company. 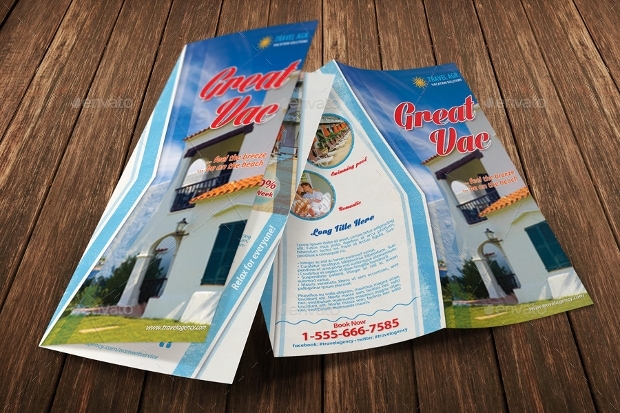 You can obtain this high quality brochure as a fully layered PSD file. 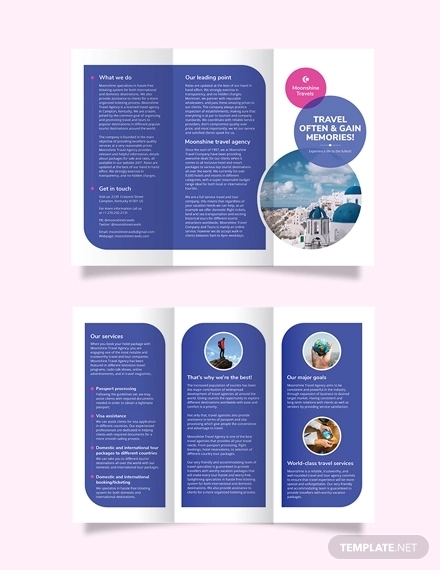 This gorgeous print ready brochure design can be a very perfect tool for presenting your tour and travel guide company to clients in a very alluring manner. It comes in an impressive CMYK color mode and 300 DPI resolution qualities. It is downloadable as a layered PSD file. 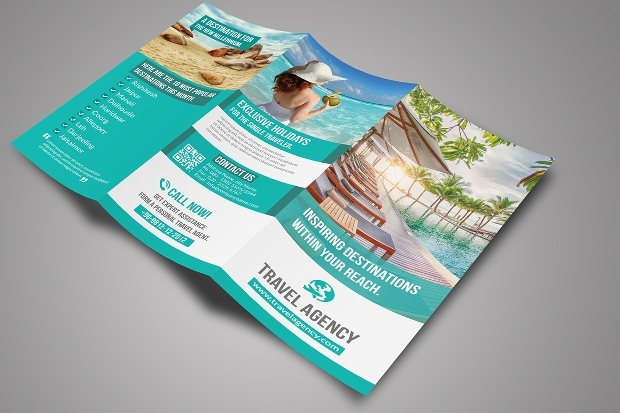 This trifold brochure design will help you present your vacation related business or tour and travel agency to customers and prospective in a very colorful manner. Its clean and professional layout is especially appealing. It is downloadable in various file formats including InDesign INDD, Illustrator and PSD. 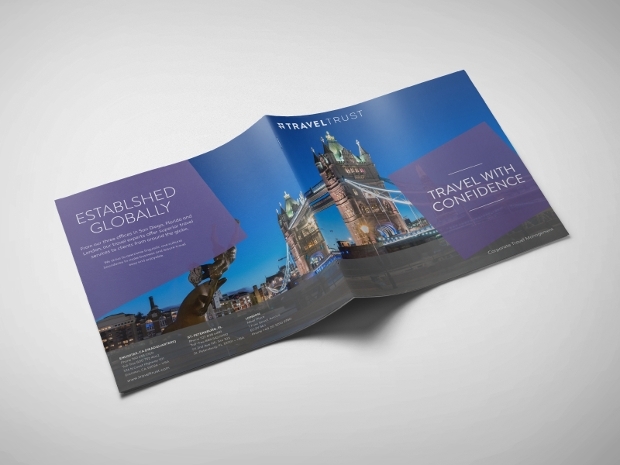 This is a bifold brochure that can be used on a wide range of travel and tour or holiday related businesses. Working with this brochure design is super easy. 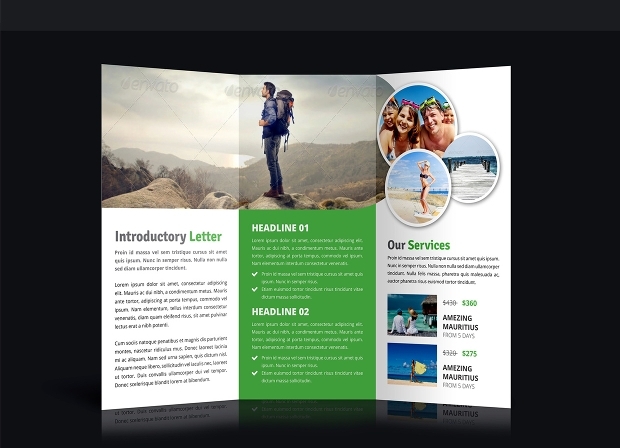 You can alter the text, size, color and other elements of this vector EPS and AI brochure template to your liking. 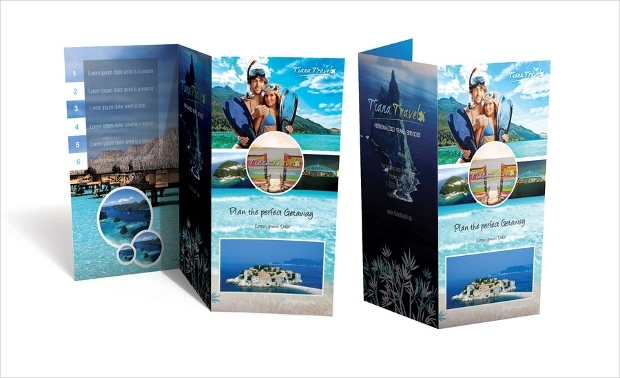 Looking for an elegant way of presenting your travel or holidaying business before clients in a very appealing way? 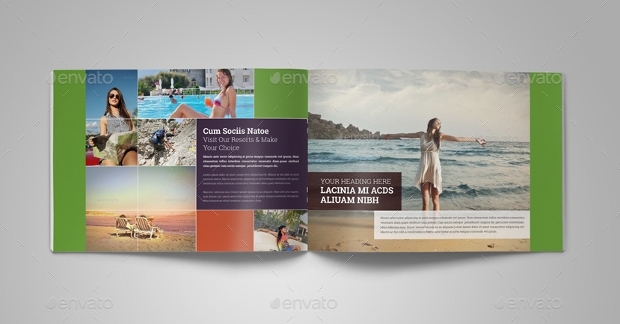 Then, this trifold brochure template will be quite appropriate for you. The design is not only colorful but also really stylish. It is our hope that you have found this collection quite inspiring as far as your holiday or vacation brochure designing is concerned. Now, why tarry? Go ahead and select the design that appeals to you most, customize it with your own details and reach out your customers in the most compelling manner.